RC For Kids - Radio Control toys for the Youngsters! - get them started early! RC for kids is a very fast-growing (pardon the pun...) sector of the radio control market, and it's easy to see why. Young kids just love to see things 'happening' and, at an early age, being able to make something move without touching it is just pure magic for them! Obviously, the technology between a complex multi-channel rc airplane or helicopter and a simple stop/go/left/right rc toy is on somewhat of a different level, but getting your child a radio control toy at an early age is a great way to get the co-ordination and reflexes going - in much the same way as gaming consoles do, but without the damaging strain on the eyes. 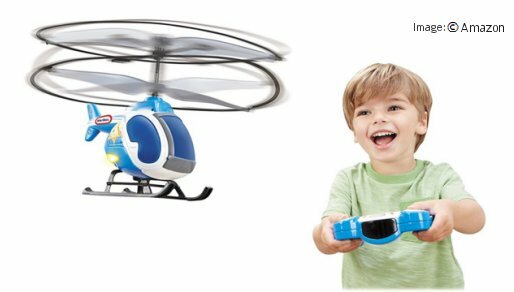 RC toys for kids are generally very robust (they need to be!) and very simple to operate. Chunky, colourful products such as vehicles, robots and animals are becoming more widely available, and they don't really stretch the bank balance too much either. It's understandable, though, that most rc for kids is ground-based, although there are some basic aircraft available. Above: kids' RC toys are great for their co-ordination skills. As your child develops, he or she will undoubtedly have better reflexes and co-ordination as a result of regular playing with an rc toy. And as time goes by, it won't be long before you can start teaching them to operate a proper multi-channel rc model - or perhaps they'll be the one teaching you! Aircraft aside, one of my personal favourites are the rc construction toys. Sadly they weren't around when I was a kid, I had to make do with simple Tonka toys in the sandpit. But these days fully functioning radio control cranes, excavators, loaders and dozers are all available - the only probable issue for a young kid here is trying to get the transmitter from dad! 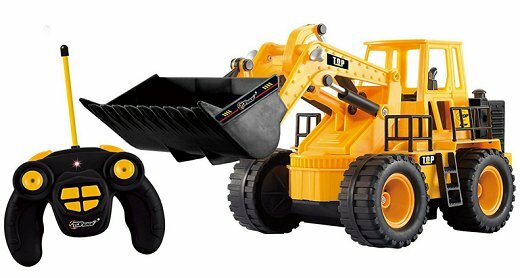 Above: RC construction toys are simply excellent fun! Without question, buying something rc for kids is a great and very beneficial thing to do. As previously mentioned, not only will they have heaps of fun playing with a radio controlled toy, but regular use of it will help develop hand-eye co-ordination. The radio control hobby is packed with benefits, and introducing the Little Ones to rc stuff at an early age can only be a very good thing. If you're curious about how the rc hobby developed over the years, below is an interesting little infographic about it (developed and kindly supplied by Adam S.).